Meandering Monday to you, my little gingersnaps! I trust you had a lovely weekend. I like secrets, don't you? Especially secret passageways, and surprise doors, etc. This one family in Florida purchased an airplane hangar and turned it into a house. Check out what they did to the back of the house. As many of you know, Marshall started a Charity Water Campaign, hoping to earn $2011 for building wells, to provide clean water in Ethiopia. Just $20 provides clean water for 1 person for 20 years. He also promised that if he reached his fundraising goal, he'd dye his hair blue. 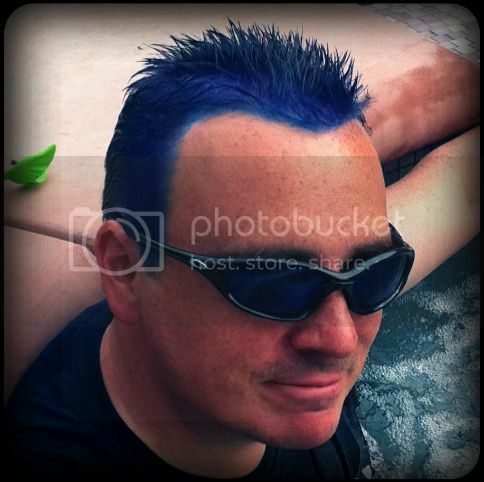 While he hasn't reached his goal, Marshall decided to go ahead and dye his hair, for all the people who donated just to see him with blue hair. He did it a week ago. Now people are asking why he has blue hair, and as a result he's received several more donations! While he hasn't accomplished his goal, he did raise enough money to provide clean water for SIXTY people for 20 years. That's pretty awesome. I want to thank all of you who donated for his Charity Water Campaign. There is still ONE DAY LEFT to donate, if you were planning to contribute. 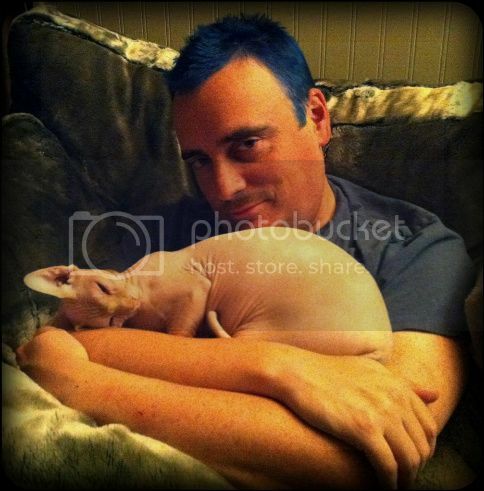 But for those of you who just want to see him with blue hair... well... here he is. I think he looks like a rock star.